Greenstone is home to 156 stores to be indulged in for Simply Sensational Shopping. Stationery arts & crafts educational books. Because life is complicated enough, simplify it with a Greenstone Gift Card. 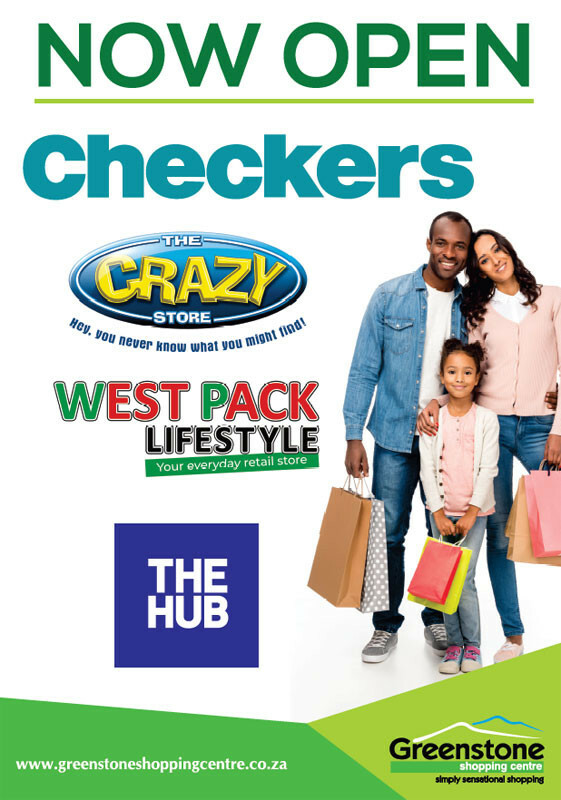 Greenstone Gift Cards are sold at our Info Kiosk near Ster Kinekor on the lower level during Centre trading hours. Gift Cards are accepted at all Greenstone stores with Mastercard or Visa debit or credit card facilities and are valid for 3 years from date of issue. Gift Cards are available in any denomination between R50 to R5000.